← Weekend Events: Denizens Brewing Co Turns 1 Years Old!! 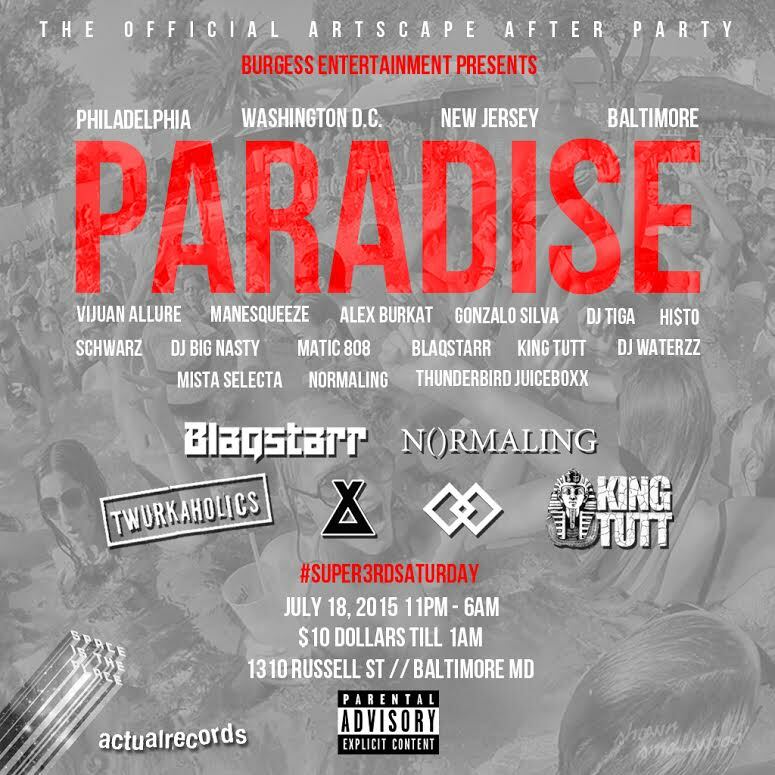 This weekend, venture outside of DC to the debut of “Splace Scape”, a celebration of Baltimore club music, brought together by Space is the Place Records, along with partners Club Kingz Entertainment and The Metro Gallery. A two-night event, “Splace Scape” will celebrate the history and future of Baltimore Club and the global impact of the city’s regional sound. 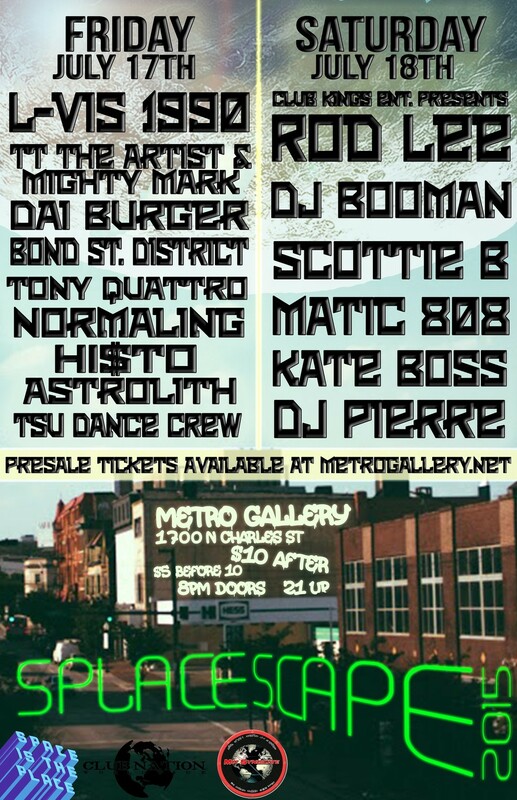 These shows will run back-to-back during Baltimore’s 2015 Artscape weekend, and Space is the Place Records has enlisted Baltimore legends like Rod Lee, Scottie B, and DJ Booman and producers from the new generation, who continue to build upon the club foundation forged by the celebrated Baltimore originators. These newbies will include TT the Artist, Bond St. District, Mighty Mark, Matic808, HI$TO, Kate Boss, DJ Pierre, Normaling, & Baltimore’s premiere club dance squad, TSU Dance Crew. Taking it outside of the city, Space is the Place also recruited some of Baltimore Club’s supporters to join in the celebration. Among them are New York’s incomparable party rapper, Dai Burger; Harlem’s maestro of the sub & Club, Tony Quattro; The Don of Space is the Place Records, Astrolith; and London’s Lvis-1990. If you are really dedicated, join us for the after party!!! This entry was posted in Baltimore, Music and tagged Baltimore, Music. Bookmark the permalink.